One of my favorite cold weather clothing must-haves is a turtleneck. If you tend to shy away from turtlenecks because you’re not sure how to style them, I’m here to share with you 3 unique looks that will spark your creativity! This is the exact look I wore for Thanksgiving.. and then a few times after because I loved the combination. 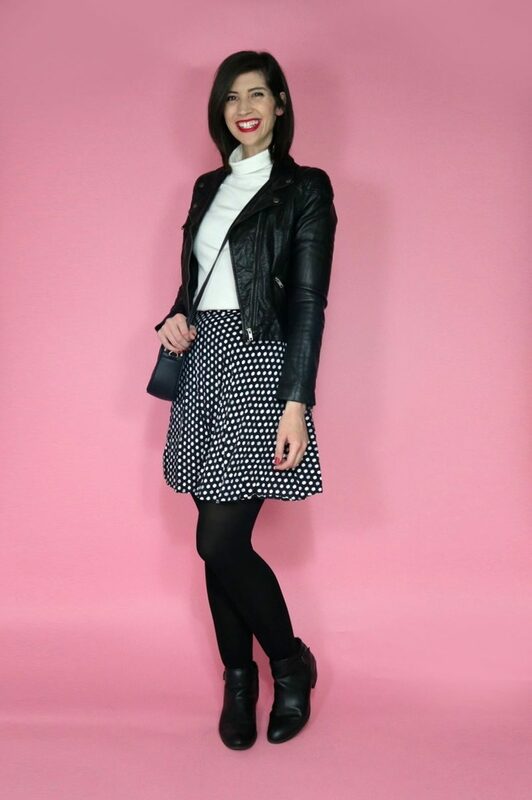 A turtleneck looks just as chic with a skirt as it does a pair of pants! Keeping that in mind really expands your styling options. Look, another skirt! This time, I played with the juxtaposition of a “dowdy” turtleneck and edgy pieces like a moto jacket and flat black boots. I think the mix is really cool! 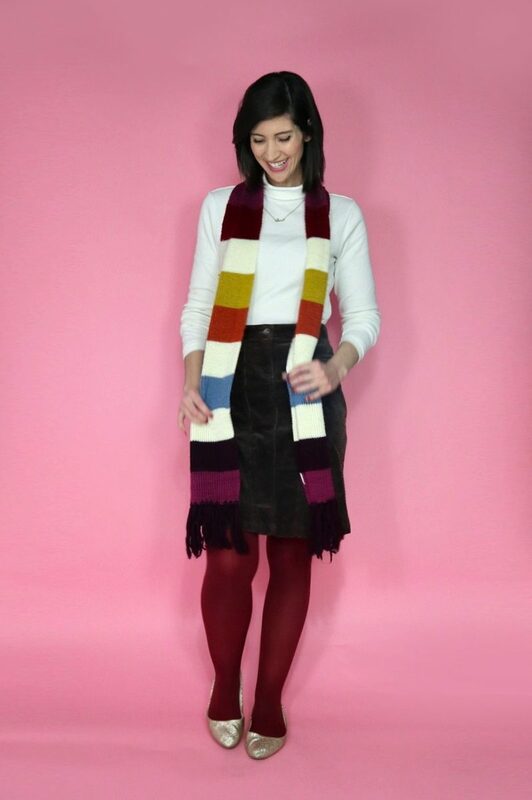 A great way to keep your spirits up in the winter is to wear lots of color. I dressed up my thrifted plain white turtleneck and jeans with a pink coat and green scarf. It’s an easy way to add some interest to an otherwise simple outfit! Are you pro-turtlenecks or do they drive you crazy?